Face the end of the world with confidence when wielding the Red Blood Z-Hunter Knife. This stylish and adaptable weapon will easily help you bring down the undead as you travel the world searching for survivors. 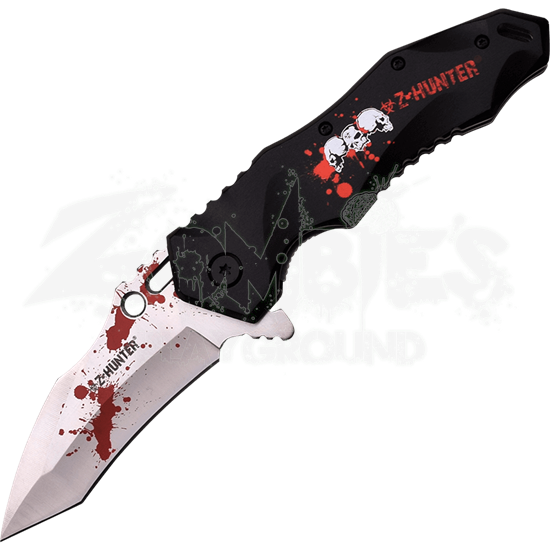 This spring assisted blade is stainless steel with red blood splattered on it and a Z-HUNTER engraving. The versatile tanto style blade can be easily engaged with the flipper. 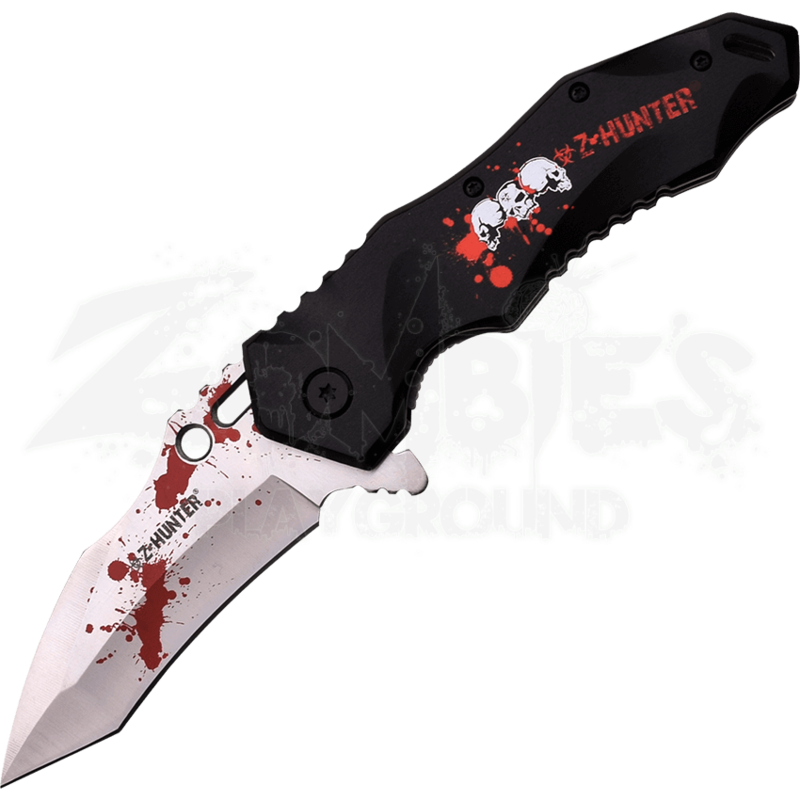 The handle is contoured and textured for a true grip and features a graphic with three white skulls, a biohazard symbol, and Z-HUNTER printed on it. The grip also has a loop so you can attach a lanyard and there is a pocket clip for a more conventional carry method. You do not want to find yourself in the middle of a herd of zombies without the lethal Red Blood Z-Hunter Knife, so purchase one today.